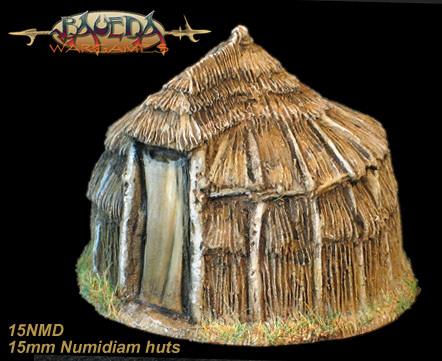 15mm Numidian Huts AVAILABLE NOW! 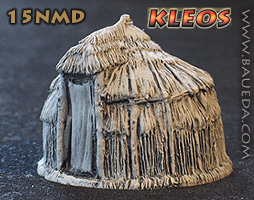 The model is ~32mm tall and fits on a standard 40x40mm DBM baggage base. 15NMD is available only as plain cast. We do accept commission painting on this item, we can paint it and base it to your description and requirements. The time required would be approximately six weeks for a 1-8 elements order. Price would be EURO€ 15.00 per piece plus shipping; just contact us for a free quote with no obligation whatsoever!